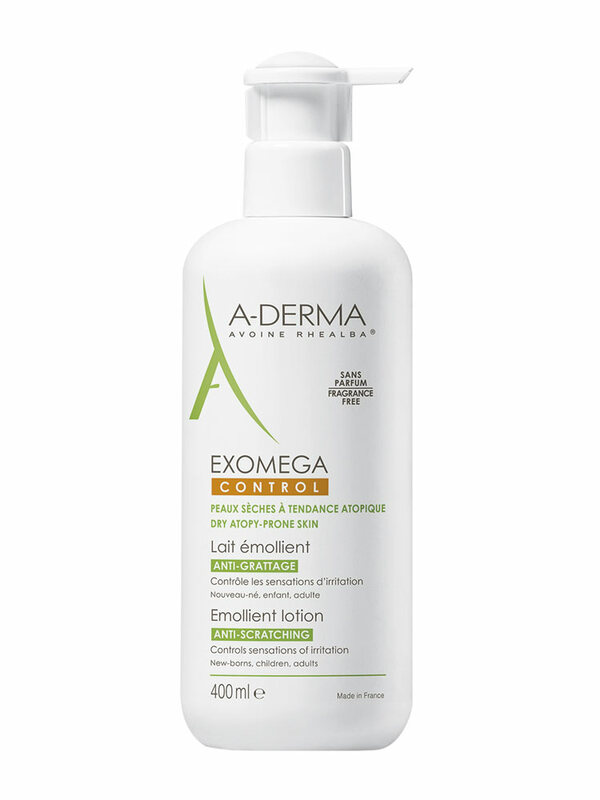 Aderma Exomega Control Emollient Lotion 400ml with rich texture is an anti-scratching milk recommended for dry skin with atopic tendency, for the whole family. This soothing emollient milk offers an immediate effect and controls the sensations of irritation. 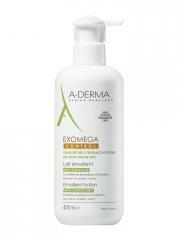 Its formula contains an extract of organic Rhealba oat plants. Without fragrance, preservative. Created to minimise the risk of allergic reactions. Apply to the face or body once a day. Indication: Take care of dry atopic-prone skin.